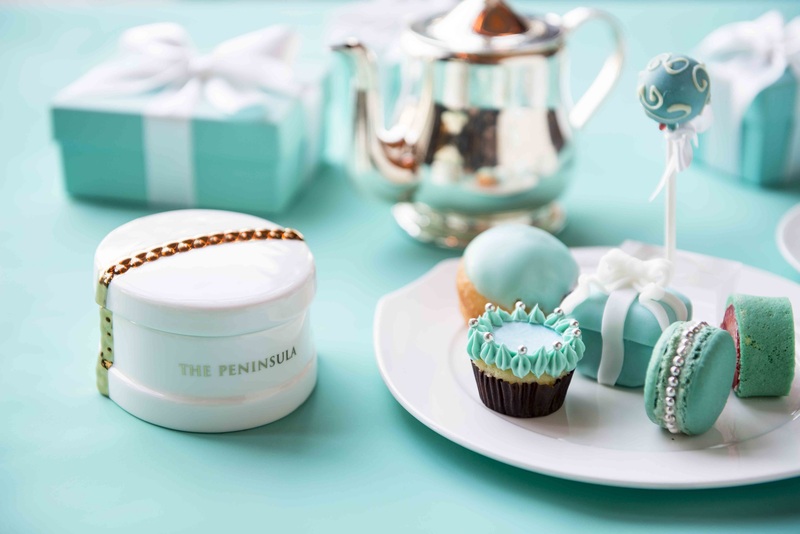 A special edition of the Peninsula Hong Kong Hotel's much loved afternoon tea will see two icons of luxury and good taste unite as the hotel partners with world-renowned jeweler Tiffany & Co. 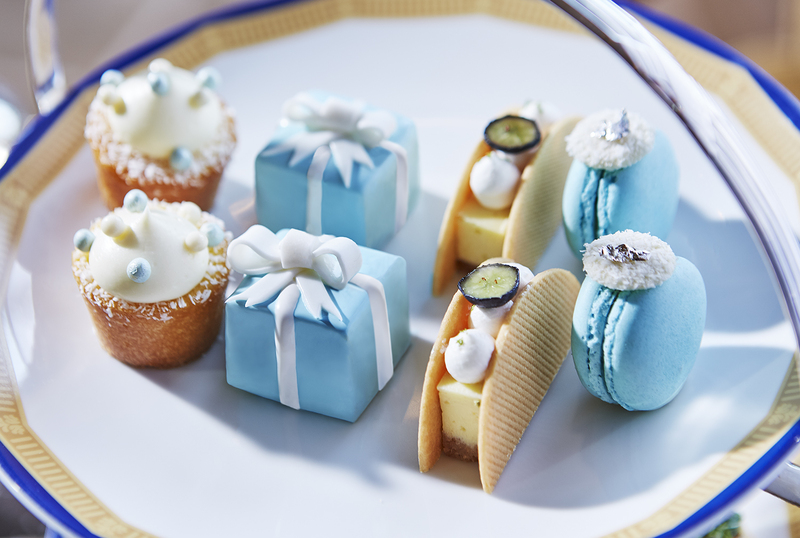 Available only during the month of June, the 'New York Spirit Afternoon Tea' is p art of the hotel’s “Legendary Artisans” programme, taking place in and around The Peninsula Hong Kong from 1 to 30 June. 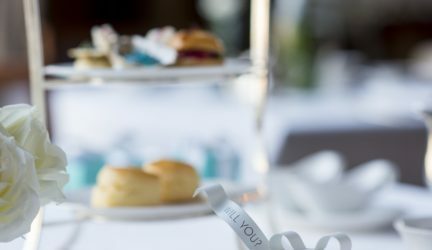 The 'New York Spirit Afternoon Tea' is the latest in a long line of collaborations between the hotel and the celebrated jewellery brand. 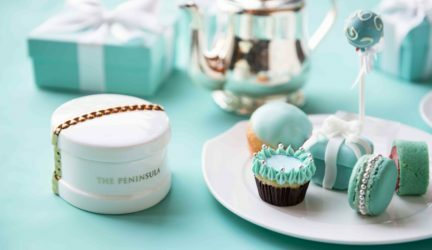 There shared history began when Tiffany & Co. first opened a store in The Peninsula’s shopping arcade in 1988. 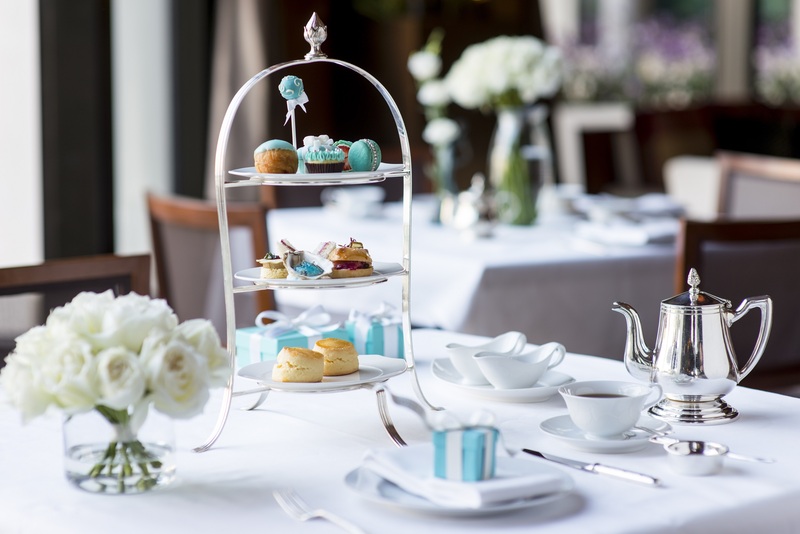 After this the jewellery house paid tribute to The Peninsula six years later by designing an exclusive set of chinaware to coincide with the opening of the hotel’s new tower. 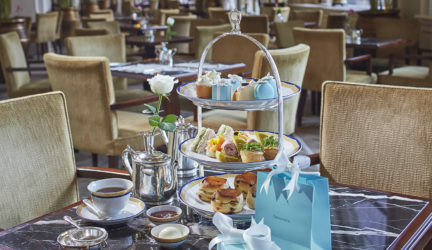 The set, featuring a navy and gold border on a white background – reflecting the colour scheme of The Lobby – remains in use at the hotel to this day. 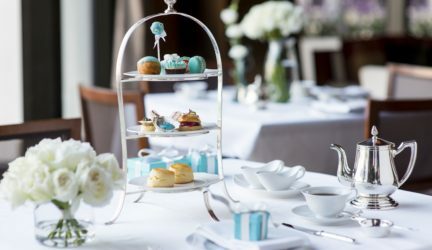 The 'New York Spirit Afternoon Tea' set features some of The Peninsula’s most favoured delicacies, from savoury treats such as smoked salmon and herbed cream bagels, crispy mushroom cream tarts and sandwiches of both cucumber and dill and pastrami and pickle, to the hotel’s signature freshly baked scones served with organic strawberry jam and velvety Devonshire clotted cream. 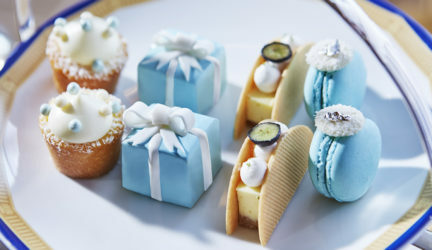 The set’s pièce de résistance, however, is undoubtedly the top tier of cakes and fancies, which includes macarons made with Madagascar vanilla and white chocolate; New York cheesecake with blueberry, cream and shortbread; lime and coconut cupcakes topped by edible pearls in white and Tiffany blue; and a confectionary interpretation of Tiffany & Co.’s signature Blue Box made from vanilla mousse, strawberry marmalade and almond joconde sponge. 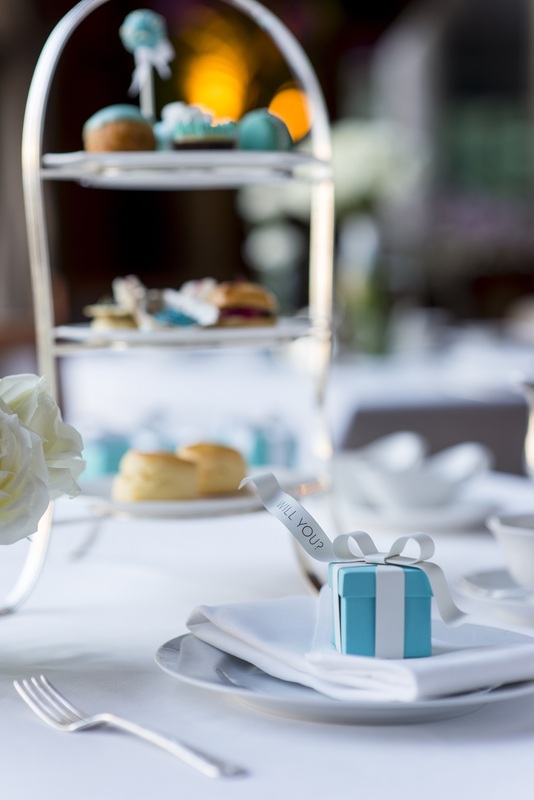 Rounding off this unique tea experience to perfection is a sweet treat of an indulgent square of dark chocolate ganache with fragrant lavender. Topped by an intricate stamp that recalls the famous gargoyles that adorn The Lobby’s ceiling, this special chocolate creation has been hand-crafted by The Peninsula Hong Kong’s resident Maître Chocolatier, Marijn Coertjens, winner of the “Best Belgian Chocolate Master” title in 2015. 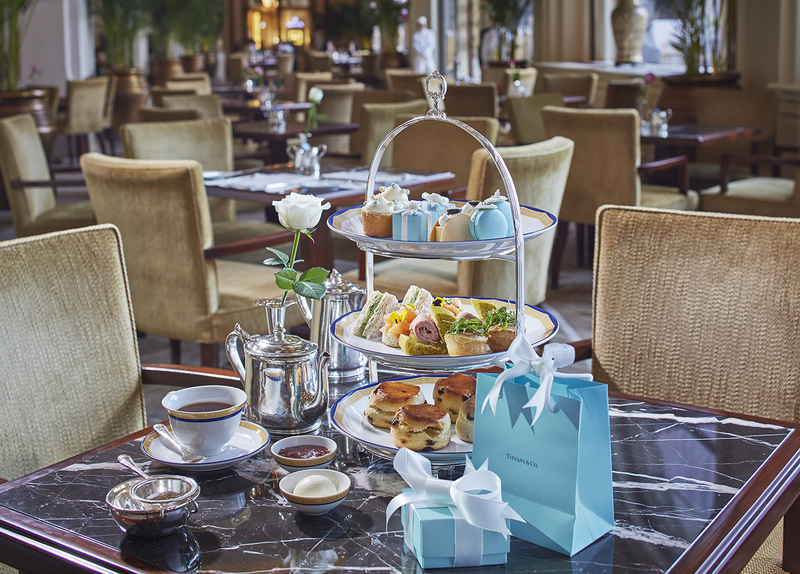 The New York Spirit Afternoon Tea set is priced at HK$358 (AUS$65*) for one person or HK$628 (AUS$113*) for two (plus 10% service charge) and is served daily between 2:00 pm and 6:00 pm. Also in The Lobby, guests can enjoy classical music performance by The Lobby Strings from 12:00 noon to 6:30 pm, Tuesday to Sunday, while The Peninsula Jazz Band performs from 7:00 pm to 11:45 pm Monday to Thursday and 7:00 pm to 12:45 am on Fridays and Saturdays.